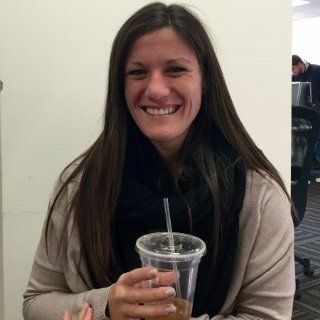 Katy Smigowski is the Recruiting Lead-Software at Fitbit, where she is directly managing sourcing team, recruiting process and recruiting strategy dedicated to driving software hiring in our Boston office. Prior to Fitbit, she was a Talent Specialist at OpenView responsible for recruiting initiatives for both the firm and its portfolio companies. Are you a hiring manager working with a recruiter for the first time? I may need to burst your bubble. Discover five personal productivity tools that will help you achieve as much as possible this year. Understanding your personality type can help you improve your own performance and better manage those around you. Why Don’t Interviewers Provide Specific Feedback? How can you provide helpful and informative feedback to job candidates? What is a Returnship? Great Opportunity or Liability? Do You Hire with Your Head or Your Gut? Are you Pursuing a Dreamt-Up Candidate? Hired.com: As Good as it Seems? Hired.com has established itself as a new hub for tech hiring and recruiting, but is it really all that? Extending a job offer isn't as simple as you may think. Follow these three steps to ensure that you land your dream candidate. Learn the 6 best questions to ask recent college graduates during an interview. Is Instagram Video the Next Great Company Recruitment Tool? With Instagram announcing that users can now post video should your company jump at the chance to promote your own recruiting videos? Recruiting Insights: Is Building a Passive Candidate Pipeline Counterproductive? These four tips for recruiting passive candidates will help you add a successful personal touch to your messaging and outreach. Big Data in HR. The new trend is set to transform your Human Resources Department, but there's just one small problem. Could Twitter Be Even Better for Social Recruiting than LinkedIn? Which is the Better Key to Gaining an Employer's Trust: Track Record or Cultural Fit? Recruiters: Stop Using So Many Buzzwords in Your Job Descriptions! Tech Recruiting Tips: Having Trouble Hiring Your Dream Developer? Create Your Own! Recruiters tend to love aggressively going after passive candidates, but should they be considering unemployed candidates just as often? What's The Point of LinkedIn Endorsements? Is there any real value to LinkedIn Endorsements? This recruiter isn't so sure. Recruiting Tips: What Exactly Is Corporate Culture? It's that time of year! Here are five examples to help you set career building resolutions and reach your goals for 2013. In order to reel in top candidates, you need to make sure your recruiting messaging includes these crucial elements. In addition to finding a great hire, every recruiter's goal should be to provide the best candidate experience possible. When Does Your Growing Company Need HR? How do you know when it’s time to add HR to your company? First, it’s important to understand what HR actually does. Hiring Strategy: Should You Consider Remote Employees? Should expansion-stage technology companies be open to hiring remote employees? Possibly. It depends on the role and these key qualities. Perhaps no other job can prepare you for the "real world" and provide you with hireable skills like waiting tables. Behavioral interview questions are key in determining whether a candidate is truly the best fit for a role. Will Marissa Mayer Truly “Have It All”? There is clearly a lot of controversy regarding Yahoo's new CEO Marissa Mayer. Will she really be able to balance it all and succeed? The hiring process for a company at the critical expansion-stage can vary from hiring at a large corporation. Here are the 5 keys steps. Facebook vs. LinkedIn: Which Is Better for Recruiting? With many college grads entering the "real world" this month they would do well to get to it and focus on these four hiring tips. Networking events should be fun but also productive. Follow these four tips to ensure you utilize them to the fullest. Social media is changing the landscape of recruiting for employers and job-seekers, alike. Changing Jobs: Why It’s Good To Switch it Up. Hiring: Why Can't We Consider Candidates without a College Degree? How can job seekers tell the difference between agency recruiting and corporate recruiting? Do recruiters even realize the differences? Are You Interviewing The Right Candidate for The Right Job?